Inside Stories: PEMRA Imposes Fine on Two TV Channels for Projecting Terrorists, Showing Blood & Gore. 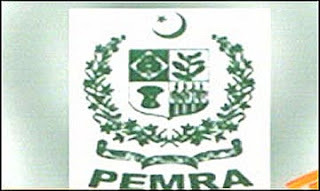 PEMRA Imposes Fine on Two TV Channels for Projecting Terrorists, Showing Blood & Gore. Pakistan Electronic Media Regulatory Authority (PEMRA) has imposed fine on two Satellite TV Channels, SAMAA and Waqt TV amounting to Rs. 1 million each for projecting terrorists and airing blood and gore on their respective news channels. According to the press release, PEMRA has taken immediate cognizance of the violations committed by these two satellite TV channels while covering the unfortunate incident of assassination of Governor Punjab, Salman Taseer on 4-1-11. 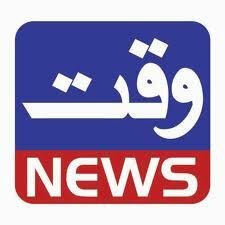 The channels were also observed repeatedly airing interview of the assassin. PEMRA had issued notices to these two channels on 5-1-11 for projecting terrorists / outlaw and screening blood and gore which by all means is in contravention to PEMRA Rules, Regulations and Code of Conduct besides the self-regulatory Code of Conduct agreed to by the many members of PBA. Under PEMRA law both these channels were provided reasonable opportunity to show cause and explain their position in personal hearings held on January 6 and 10, 2011. Reasons Behind Meher Bokhari Sacking!! Meher Bokhari fired or Resign??? Najam Sethi will be on Geo Screen! !